Ricefield is very pleased to be involved with Glasgow’s Mela Festival this year, and on Sunday 22 & 29 May we were happy to offer a taster of what it’s all about. 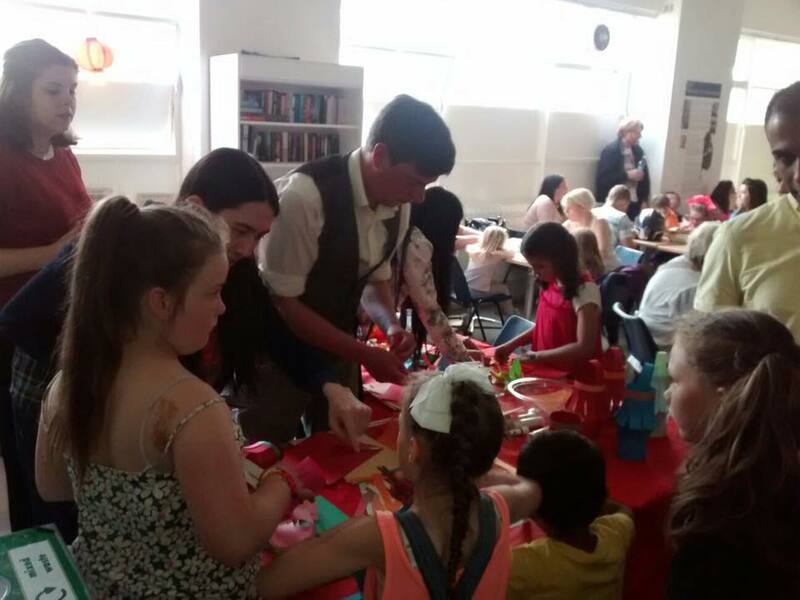 For our second date, we joined the diverse Mela on Your Doorstep programme at Netherton Community Centre, from Bhangra dancing and henna tattoos to Ayawara drummers and Bollywood. You could find Ricefield’s iconic red tables in the cafe, alongside the delicious free curry. 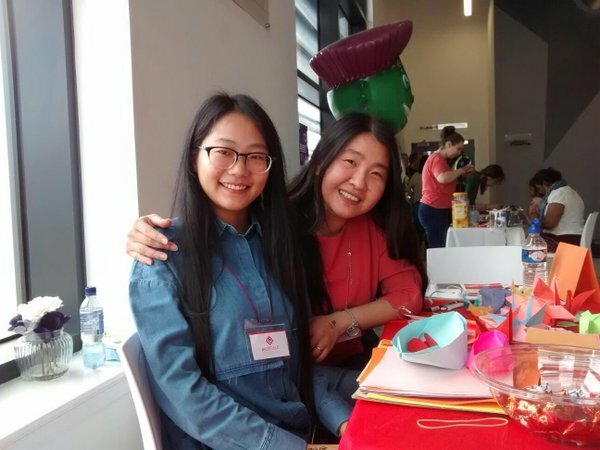 From there, we wanted to share a range of Chinese culture, and used crafts to get visitors (children and adults welcome!) involved. 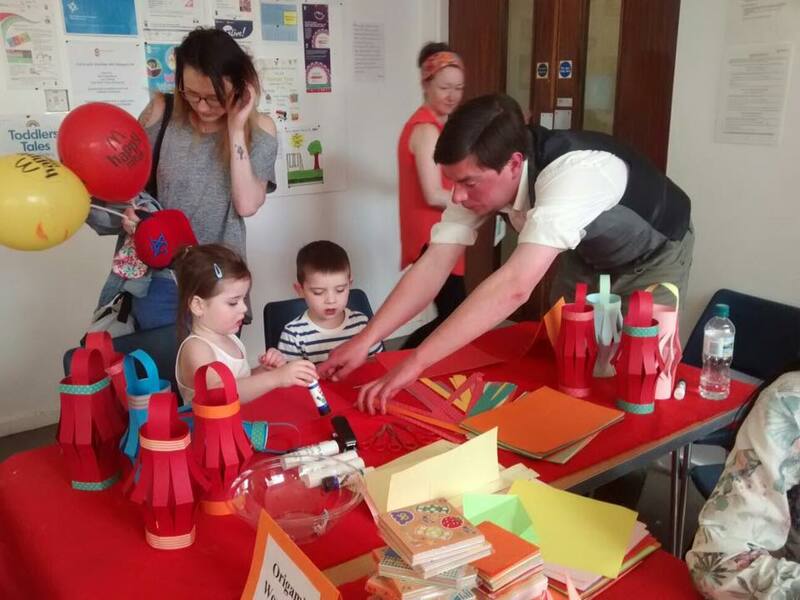 Charlie and Andrew taught guests how to make their own decorative Chinese lanterns, while I helped with Year of the Monkey themed colouring in. 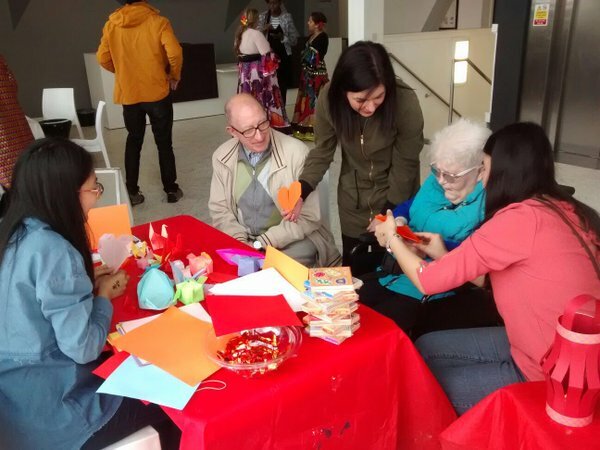 Hui Yun was our origami expert, giving children the chance to learn to make simple paper hearts, to (in my opinion!) more difficult hats and birds. 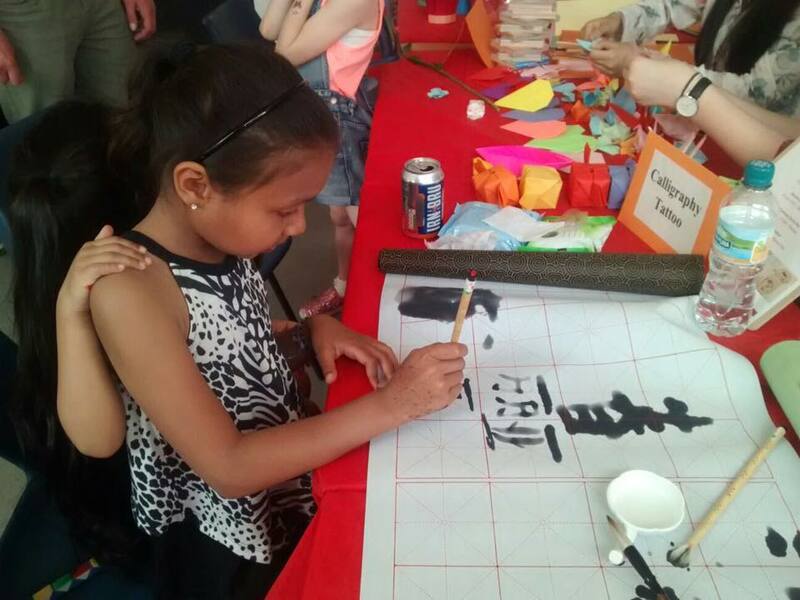 Else was guiding calligraphy lessons, and offering very popular Chinese tattoos; you could spot her artwork on arms throughout the centre. 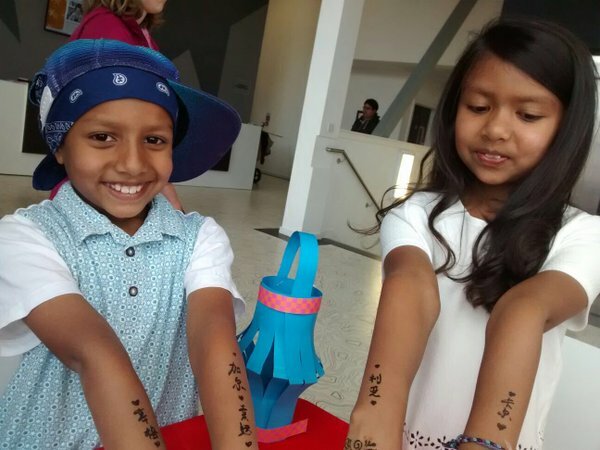 All of our visitors left with their own piece of Chinese craft as a Mela souvenir, and hopefully having learned a little bit more about China. For us volunteers, however, the most memorable moment of the day was definitely taking part in the Mela procession, where we created our own Ricefield lantern dance. We were maybe not as talented as the other amazing performers, but its the enthusiasm that counts! The next Mela on Your Doorstep event will be on 10 July 2016 at the Tramway. Ricefield will return for the main event, Glasgow Mela, on 17 July 2016. Come along and join us at Kelvingrove Park. If you would like to volunteer with us at the Mela Festival this year, please sign up here by 13th July 2016, 5pm.